Swinton Building Services is all it needs to have your property looking sparkling clean and at a very affordable rate. Not only will our window cleaning improve your property curb appeal, but it will also lift the morale of your employees and look good and set a lasting impression with your customers. The second enemy is during the drier months when spring and summer are here. Dust and pollen can get trapped against your windows, and although they may not cause stains or dirt, you would still need an excellent window cleaning service to remove these allergens. Our window cleaning professionals have perfected their techniques, and with the best tools and green cleaning chemicals, they can provide some of the best window cleanings you will have experienced. 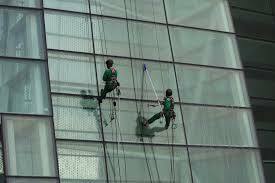 For over 28 years Swinton Building Services have been providing many happy clients in our portfolio these window cleaning services which have helped them at any time of the year, they have gone on to be more health conscious and more productive as a result of our window cleaning services.